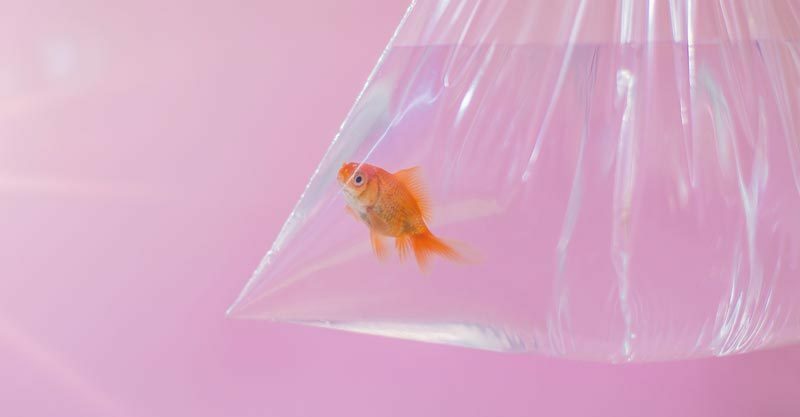 The day you bring home a plastic bag of water with a shimmering goldfish in it, is the day you start out on your journey of deception and lies. 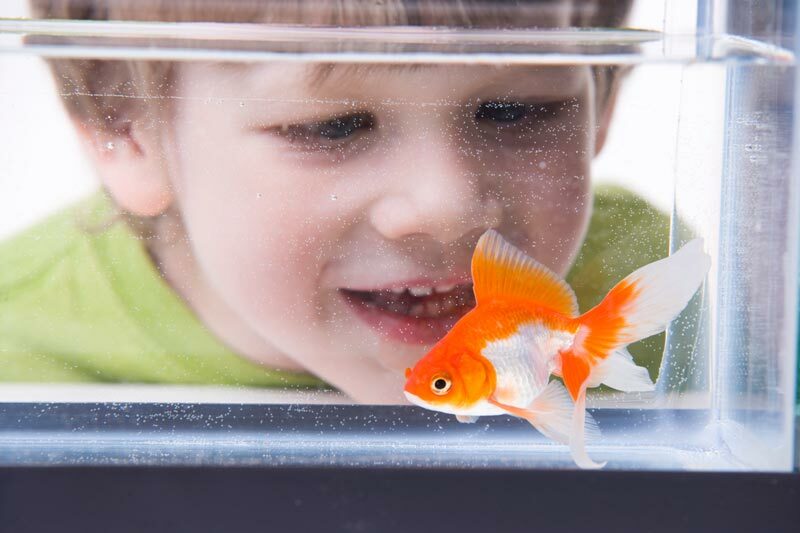 There are seven stages of giving your child a pet goldfish and you will absolutely go through them all, but getting to the last stage may actually be a blessing in disguise. Having a pet will teach my son about responsibility and how to care for a real living thing. Now exactly how much of this water conditioner stuff do I need to squirt in so I don’t kill it? Having a pet is teaching him lots of great things and he couldn’t be more in love with ‘Lily’, just look at him staring at her – he’s gobsmacked. Note to self: supervise him at all times with the fish, or shut the door so he can’t get to her. 4. Why is Lily swimming upside down? Two days later: Wow, who knew a frozen pea could fix an ailed fishy. I’ll change her water and tell my son I gave Lily some medicine which made her all better. Lily is dead. Was it the water change? I found her floating upside down this morning with her scales falling off. Stupid marine biologist. Oh dear, my boy will be devastated. He’s way too little to understand the harsh reality of life. I wonder if I can just replace her with a look-a-like, Lily? What, we’ve only had this Lily three weeks and she’s doing the same thing that her predecessor did. Quick, grab a pea. Nope, that hasn’t helped this time. I guess I’ll go back to the pet shop? Okay, seven Lily’s in 11 months is ridiculous. 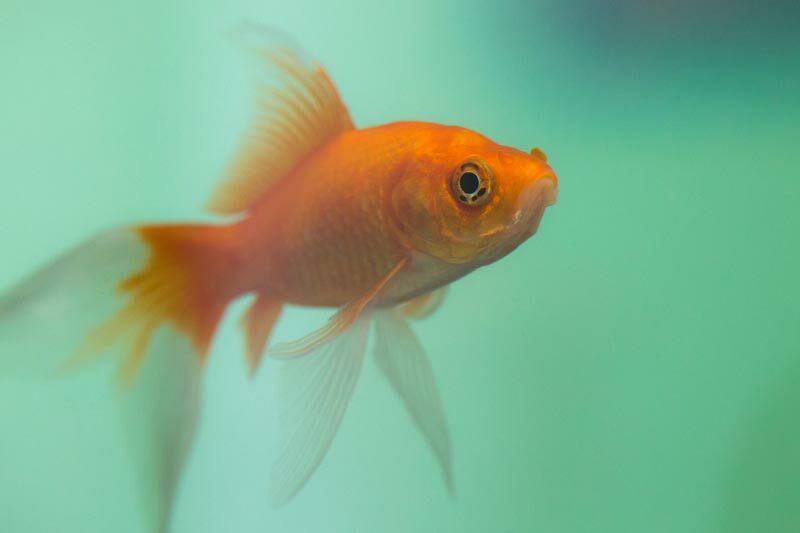 You clearly shouldn’t be responsible for caring for goldfish. It’s okay, you just aren’t cut out for caring for scaly family members in addition to the real ones. So what now? Just tell him the truth. You can’t buy him another one and lie. It’s not fair on the poor fish. You will be doing the aquarium world a favour if you just stop this silliness. Think of it as his first lesson in the cycle of life. You can do this, just be gentle and clear. Oh, you’re not sad. You’re actually excited about making the fish grave, well that makes sense, I guess, it is digging after all.